As we already told you, when announcing beta version, above all we focused on the code optimization. 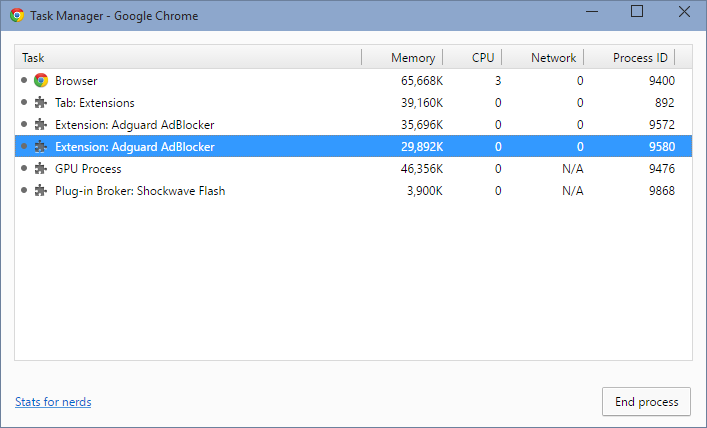 Our main task was to provide a lower memory consumption and thus improve performance, and we succeeded. 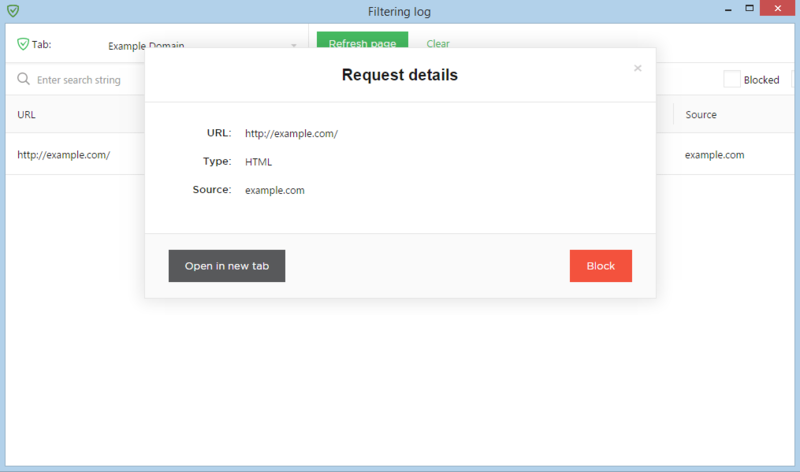 Filtering Log is a full-fledged filter development tool. 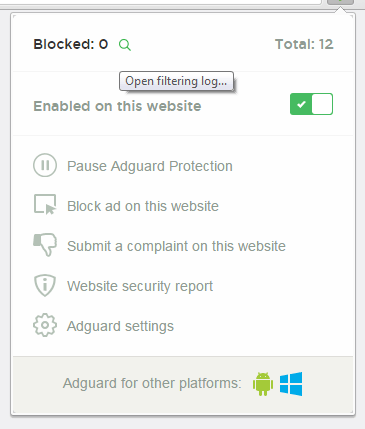 It allows to analyse what requests are blocked or, on contrary, are allowed by Adguard. Moreover, any of these requests can be blocked/unblocked at the same moment. How to open the Filtering Log? By clicking on “magnifier” icon in the extension menu. You can select the type of requests to see only blocked, and, most importantly, to filter only the Third-Party requests. This is a very simple and obvious feature, but it really helps to track advertising requests and trackers, which can be found on the page. To view the details of any request, just click on its row. 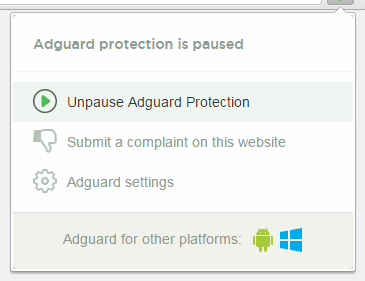 Pausing protection allows to completely (not only on some particular site) disable Adguard filtering. Resuming it is as easy as turning off. A useful function that allows not to disable the filtering completely. And finally, our extension source code is published under the terms of GNU Lesser General Public License. Now anyone interested can have a look. 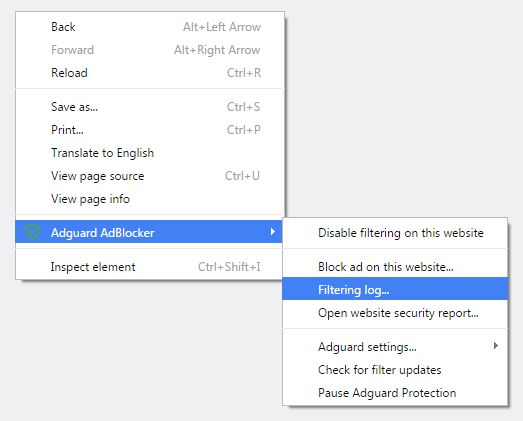 We hope that you will see how faster Adguard works now and will like new features that we prepared for you. Upgrade now or go to our official website to install our extension for your browser.